Sometimes attachments make the machine. Nowhere does that ring truer than with a compact tool carrier (often called a compact utility loader or mini skid steer, depending on the brand). As one of the smallest diesel-powered machines on the equipment market, compact tool carriers are specifically designed to run tons of different implements — hydraulic and non-hydraulic attachments like buckets, breakers, brooms, blades, backhoes and box scrapers (and that’s just the Bs). The entire idea behind the compact tool carrier is to offer versatility in a small package. With the right set of attachments, this mini constructor can replace a whole crew of manpower, working in confined residential areas with a minimal footprint. Compact tool carriers are most popular in the landscape market where these units are replacing all of those one-job-only work tools such as dedicated augers, trenchers and wheelbarrows. But their reputation is growing in the construction sector too, especially among fencing, demolition and residential contractors who now have a machine that’s smaller than a skid steer but just as versatile. 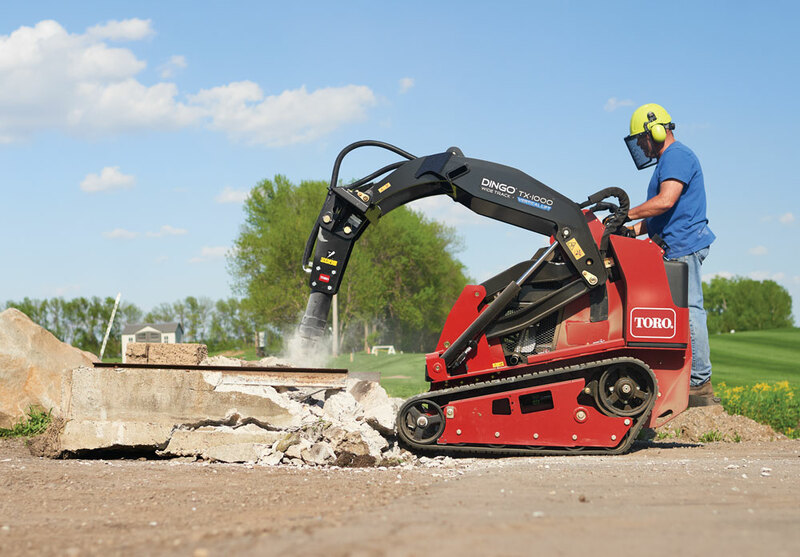 Manufacturers such as Toro, Bobcat, Ditch Witch and Vermeer are all designing and selling innovative products in the compact tool carrier market today. Buyers have a bevy of inventive options — stand-on and walk-behind units; hydraulic flow rates from 8 to 15 gpm; gas, diesel and electric engines; and wheels or dedicated track undercarriages. These units are not necessarily cheap (most falling in the $14,000 to $25,000 price range), so before you choose to buy one, it’s wise to do your homework. To help out, the crew at Compact Equipment started the reconnaissance mission. Below, we’ve compiled product summaries, histories, specs and photography of each manufacturer’s machine line. Compare each product line, visit multiple dealers, test drive several units and find your ultimate mini tool carrier for upcoming work seasons. I am wondering if you could supply the comparisons in this article in an excel spreadsheet?